Africa’s premier power sector conference will light up rural areas of Africa, when it comes out in support of SolarAid to commemorate Nelson Mandela Day. 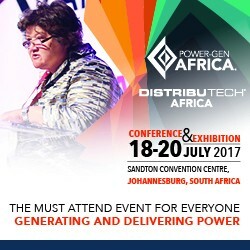 POWER-GEN & DistribuTECH Africa, staged in Johannesburg by PenWell Corporation, opens on 18 July 2017 – the day South Africans marks Nelson Mandela Day. To commemorate the occasion, POWER-GEN & DistribuTECH Africa will donate R 30 000.00 to SolarAid, and will encourage event delegates to add their contributions to the cause during the opening keynote address. SolarAid is an international charity that combats poverty and climate change. The organisation gives people access to low cost solar lights in some of the most remote regions of the world and is building a movement to eradicate the kerosene lamp. After playing a key role in catalysing Africa’s first solar markets in Tanzania and Kenya, SolarAid also provides access to solar lights in some of the most remote regions of Malawi, Uganda and Zambia. 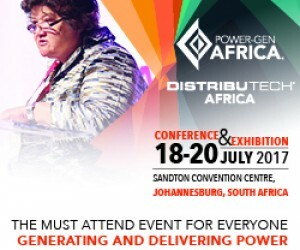 POWER-GEN & DistribuTECH Africa 2017 will be staged from 18 – 20 July at the Sandton Convention Centre. The event is attended by over 3,000 power industry stakeholders, utilities and sub-Saharan government officials from pan-Africa and abroad.